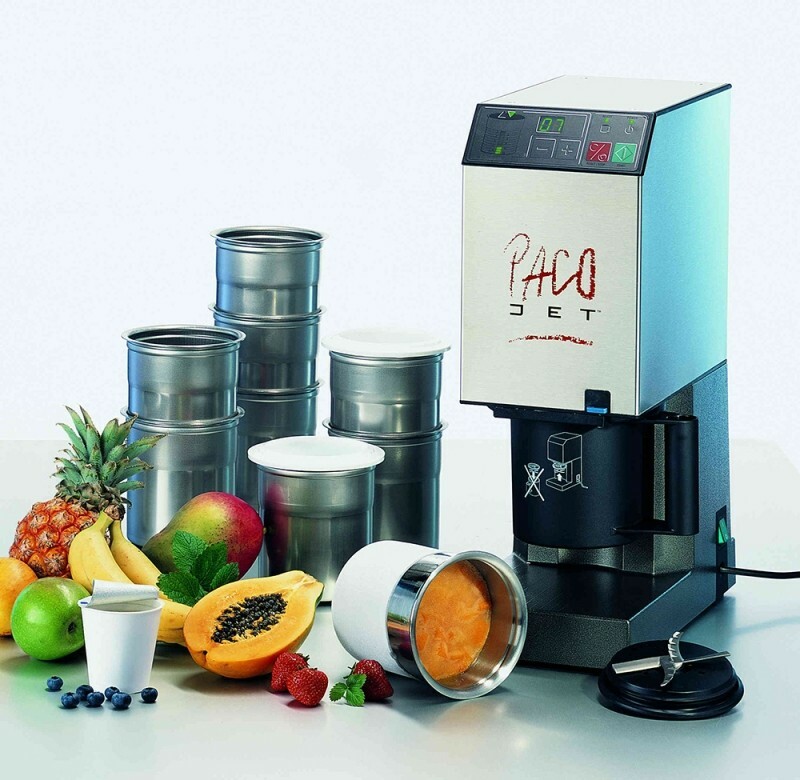 Pacojet 1 is unique food processor widely used by many famous chefs worldwide to produce a large variety of both sweet and savory recipes. 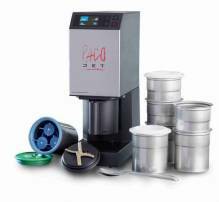 Pacojet takes the work out of making quality superior frozen desserts. From 100% natural sorbets, made only from fresh fruit, to smooth ice creams which can be either full fat, yogurt-based or even dairy-free. But that’s not all! Pacojet can also be used to process savory recipes ranging from light, airy, mouse and fine pâtés or farces to vegetable and herb concentrates with which an infinite of variety of soups and sauces can be created. 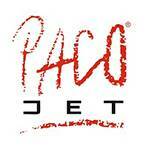 Whatever ingredients a chef’s imagination conjures up, Pacojet can purée it to perfection. We guarantee it! • Freezing locks in freshness and aroma. No preservatives, no additives needed. • Enables reduction in sugar and fat without sacrificing quality or taste. • Saves time, labour, raw material. Eliminates straining through a sieve. Fast! Makes 1 liter in under 4 minutes. • Very versitile. Many applications. • Convenient: prepare recipies anytime, then freeze and store until needed. • Processes without breaking freezing chain. Partly used beaker can be safely put back in freezer. NO WASTAGE! • Cleaning cycle takes only 1 minute. Weight: 30 lbs. / 14 kg. Dimensions (DWH): 15" x 8" x 20"